It looks like we might have the possibility of some "winter weather" around parts of southeast Missouri, Southern Illinois, and Western Kentucky this week. 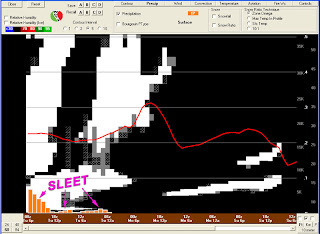 A quick glance at the computer models this morning shows the chance of either sleet or freezing rain. I'm just coming off my weekend. (Since I work a Saturday-Wednesday work week, my Saturday/Sunday is Thursday/Friday.) Usually on Saturday mornings I get up in the morning and take a quick glance at what the computer models are hinting at for the next couple of days. When looking at the model, the time runs from right to left. (Sorry, I didn't make the program!) Notice how it brings in freezing rain for Tuesdsay-Wednesday. 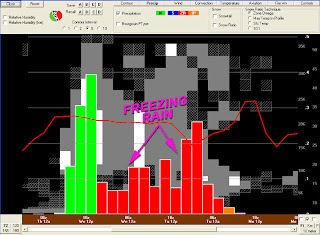 The GFS tries to drop down around 1" of the freezing rain. That would spell a mess for us. Remember last February? Yikes! This is the NAM model. I use this one much more. Although, it hasn't handled things well this winter. Notice this model is indicating it as more of a sleet issue. And not a very heavy sleet either. On or the order of .2". It could come down to a a degree or two over a 1,000-2,000 foot area overhead. That is how these things work out around here. The models will flip-flop around some as we get closer to the event (which is normal). Personally, I would rather see a nice snow storm out of this. We haven't had a measurable snow this winter. Plus, snow storms are easier to forecast than sleet/ice storms. I should have been able to guess this earlier this month. Bob Reeves is off Monday-Wednesday and I am filling in for him. Typically, when he takes off we have some kind of weather event. 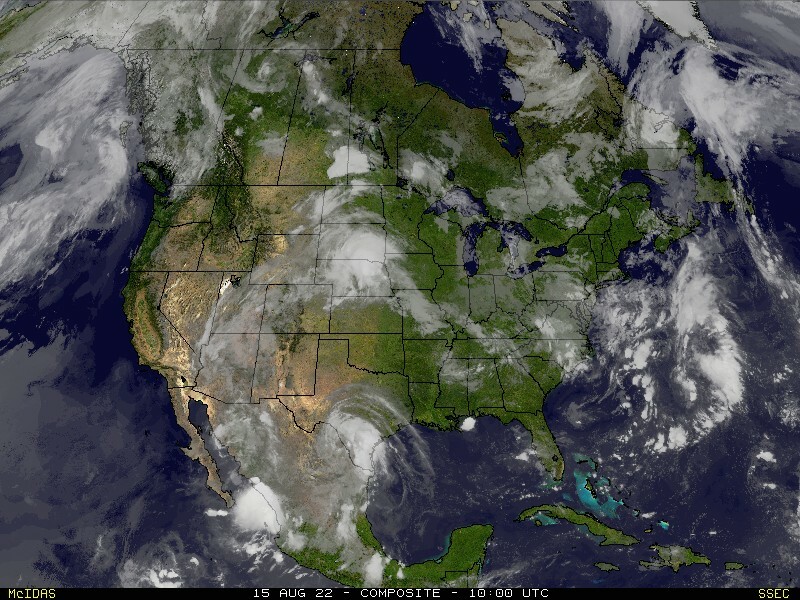 Be it winter storm (think Christmas '04) or severe thunderstorms/tornadoes.